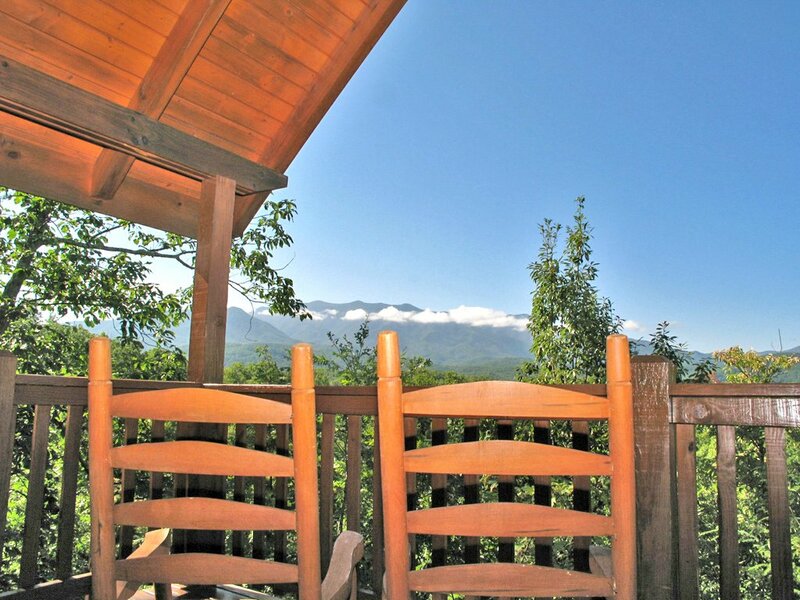 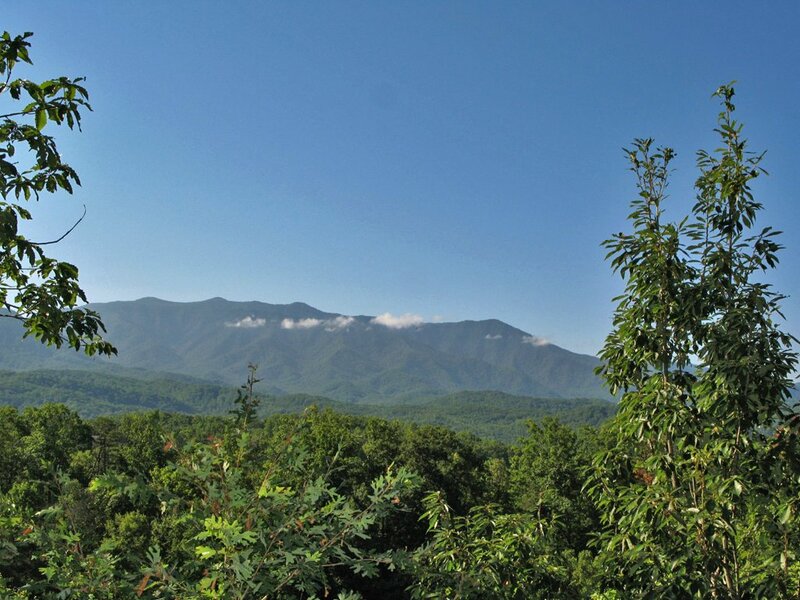 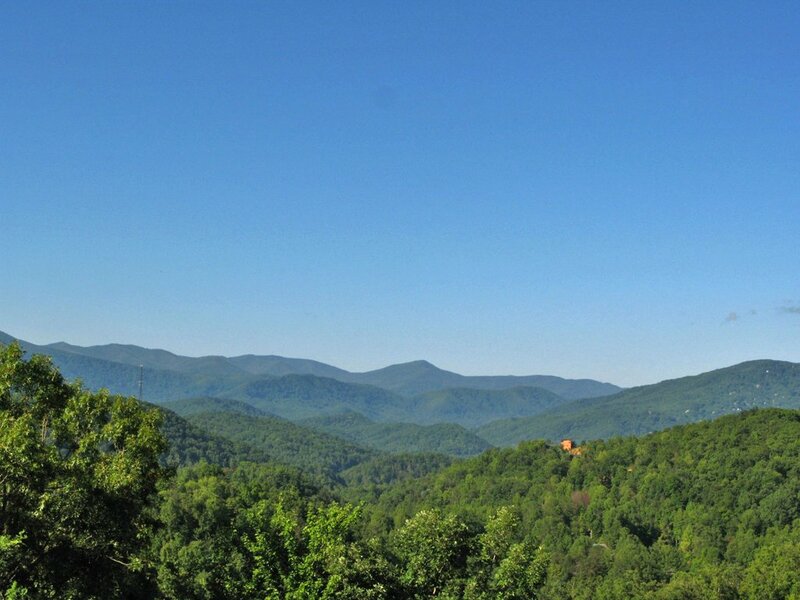 Wake up to a gorgeous view of the Smoky Mountains from the Eagles Point Lodge, a true log cabin in Black Bear Falls Resort (Gatlinburg's Premier Log Home Community). 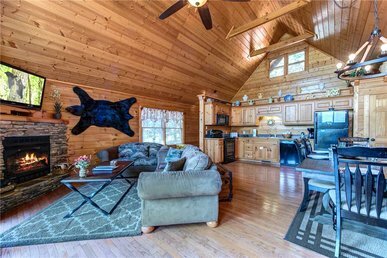 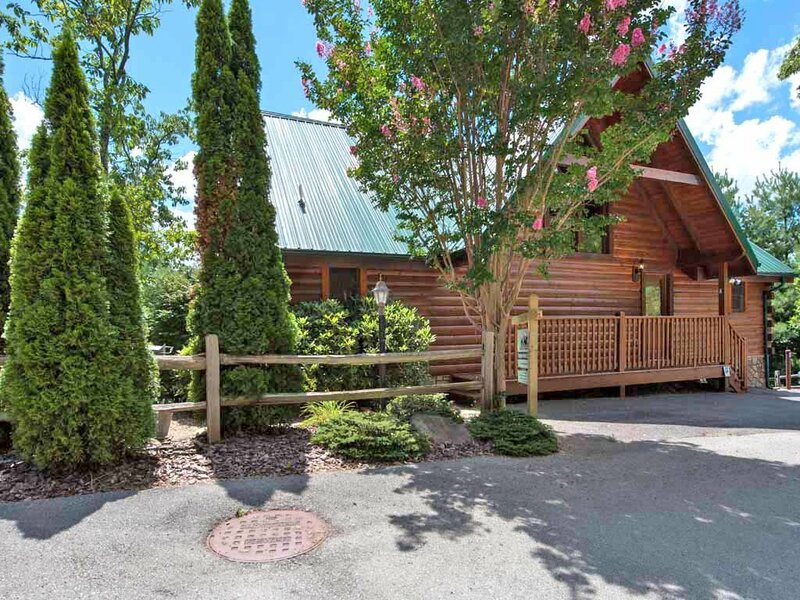 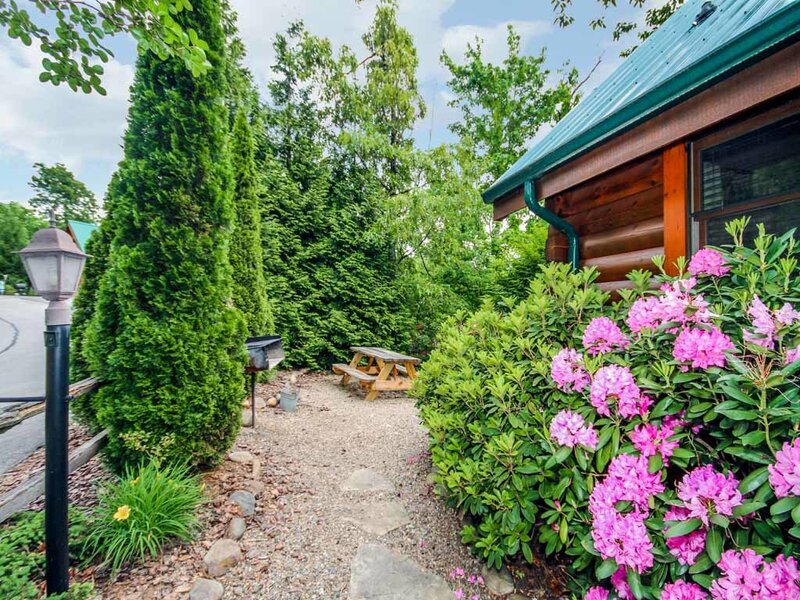 Located just five minutes from downtown Gatlinburg, this beautiful log cabin has all the amenities you could wish for, both inside and out! 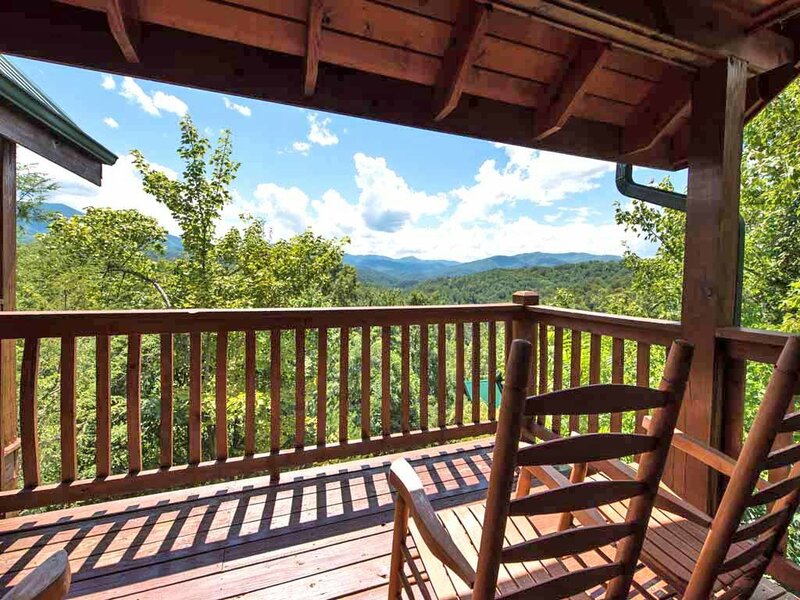 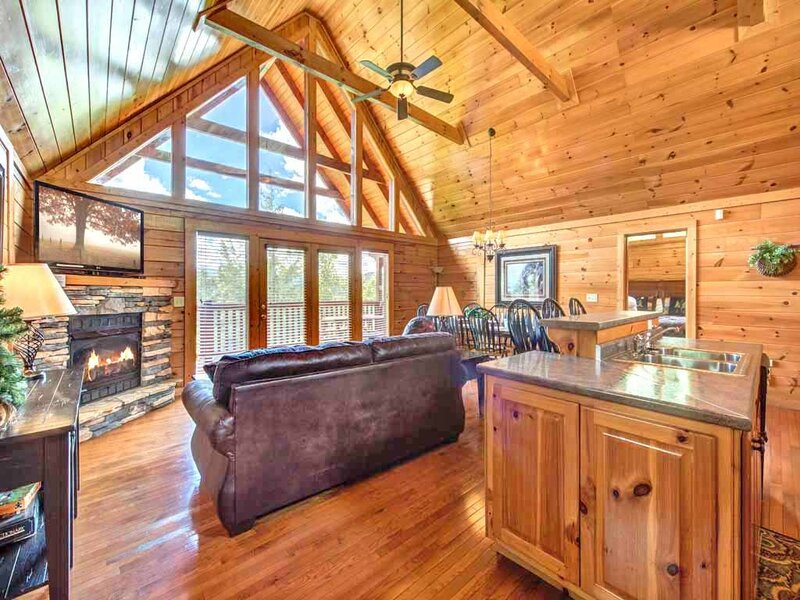 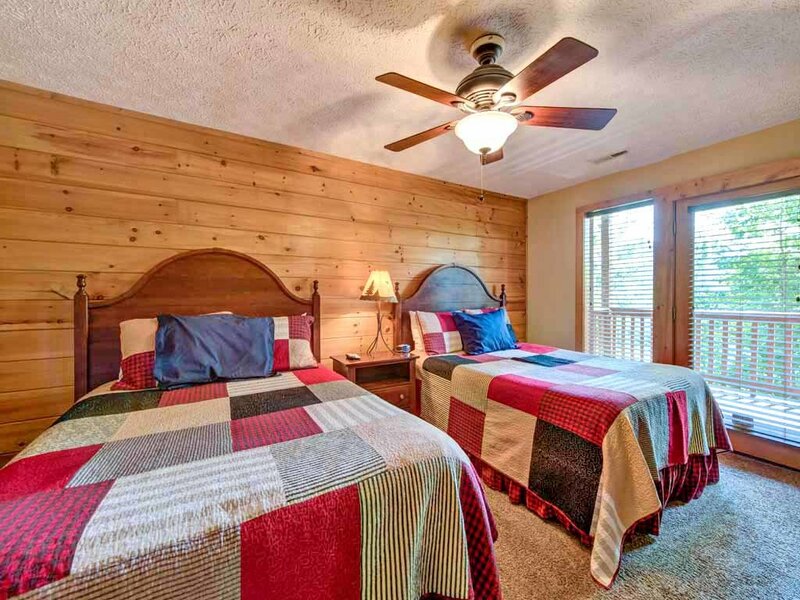 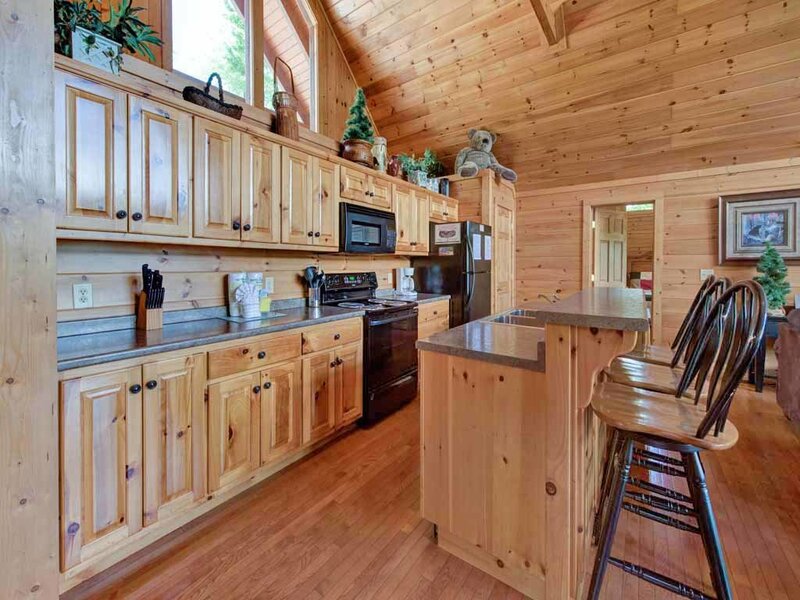 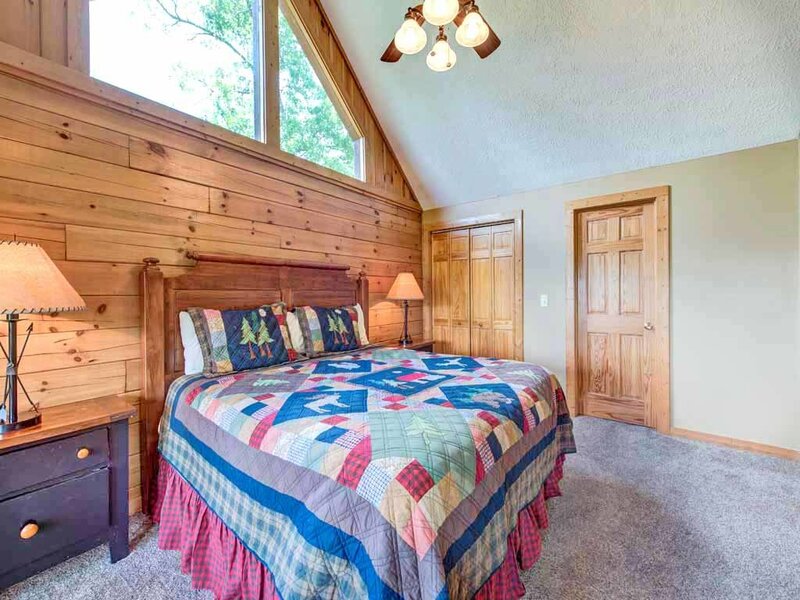 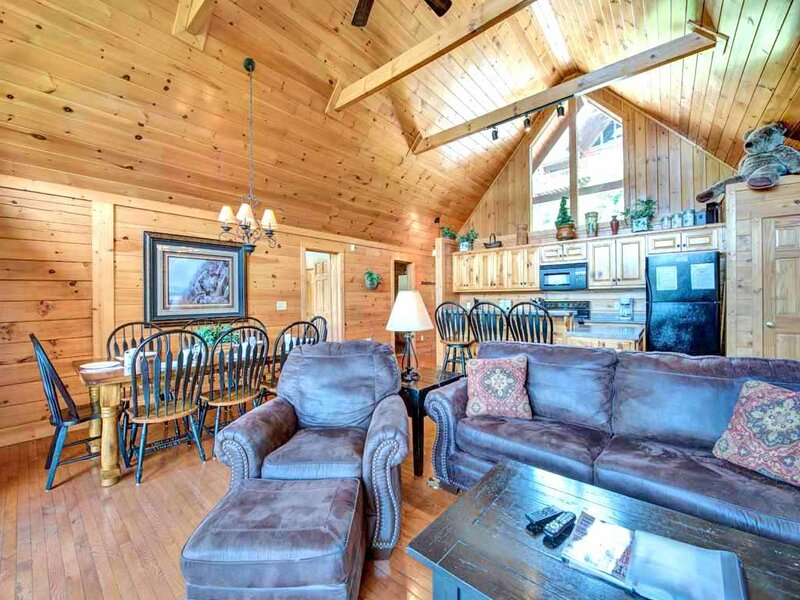 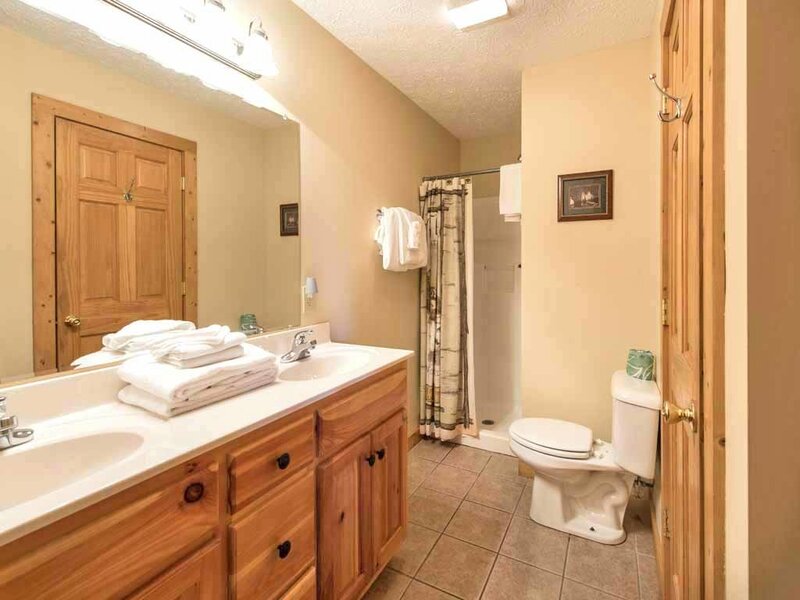 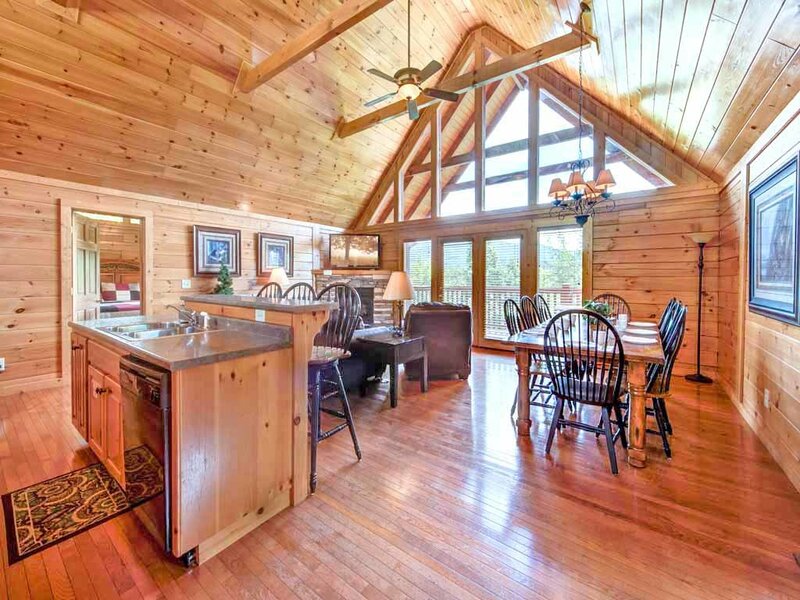 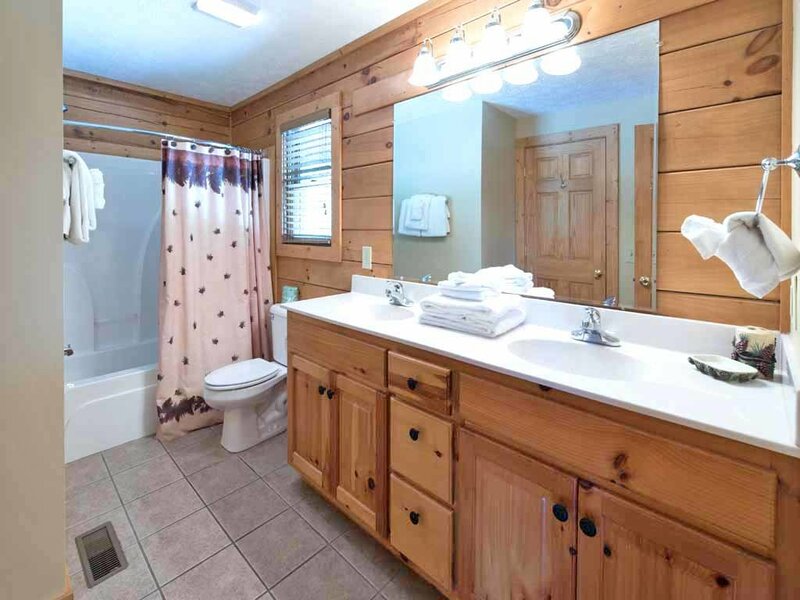 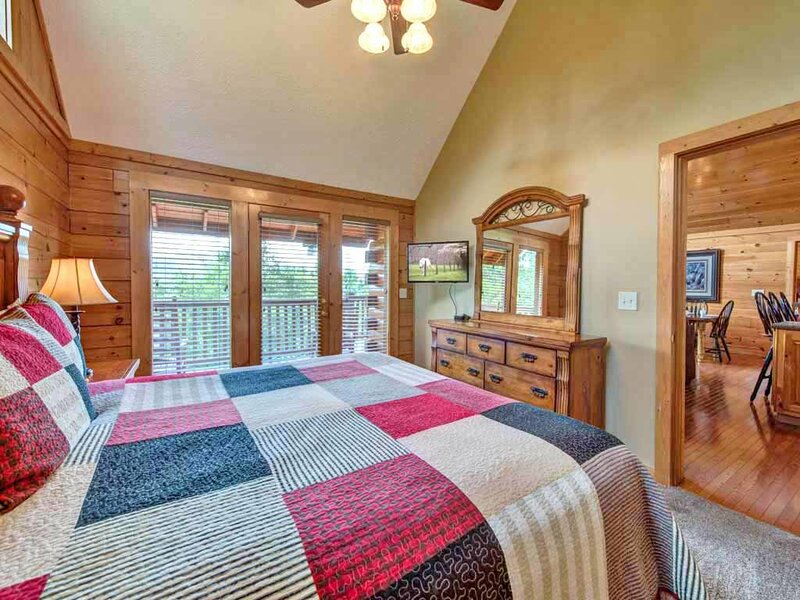 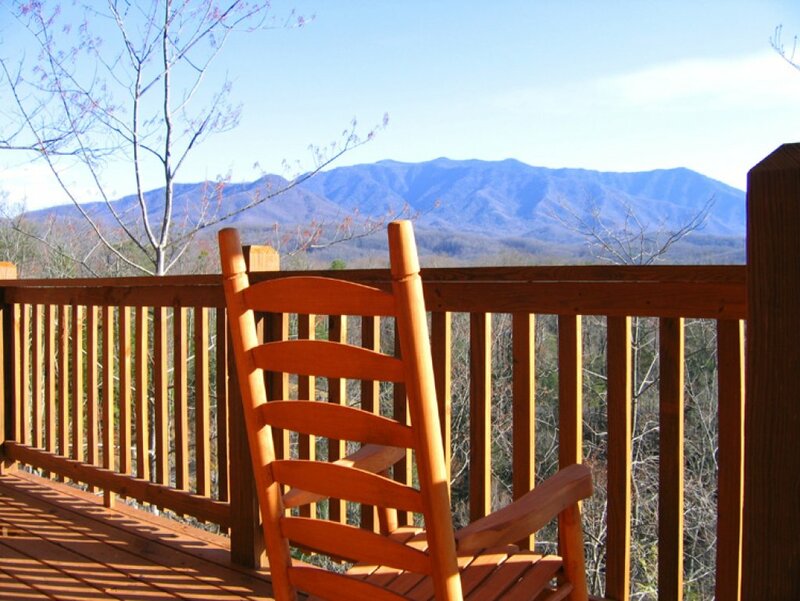 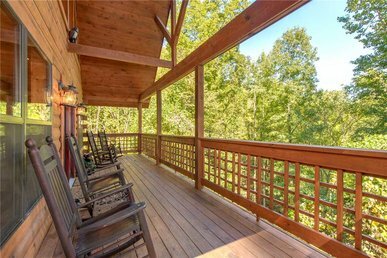 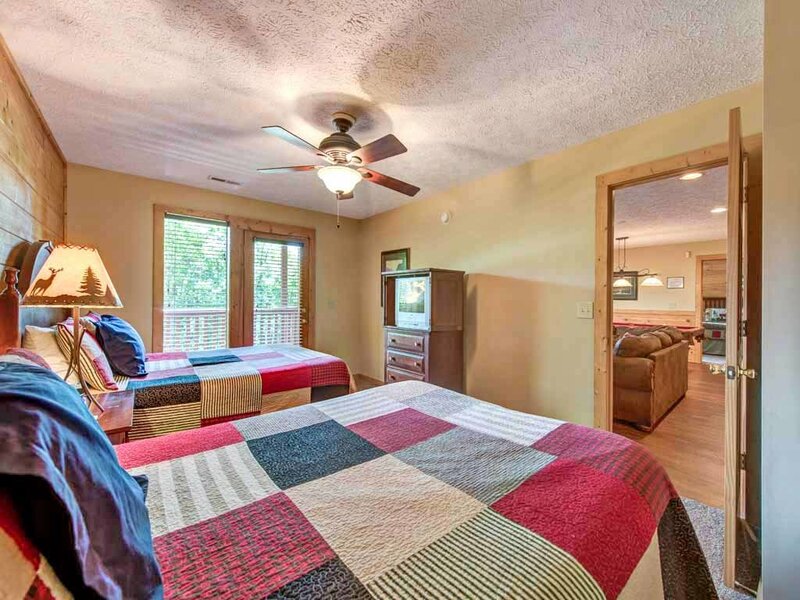 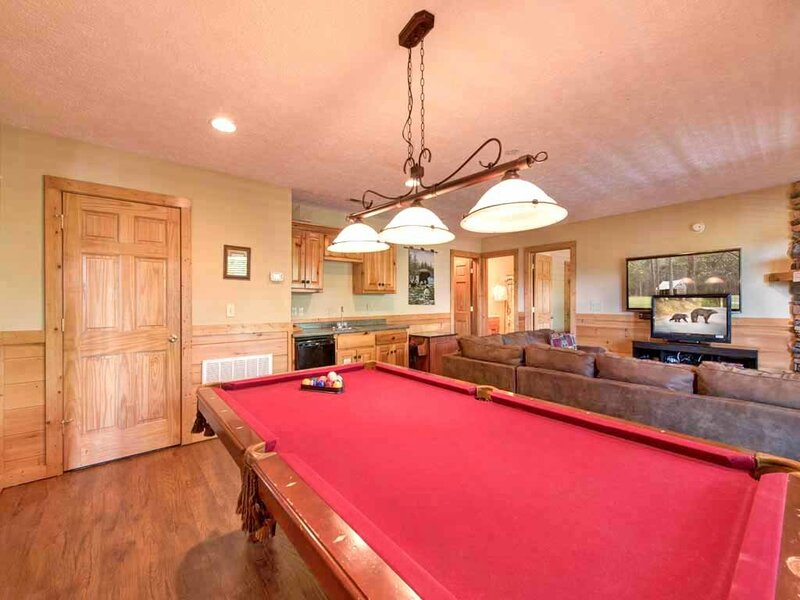 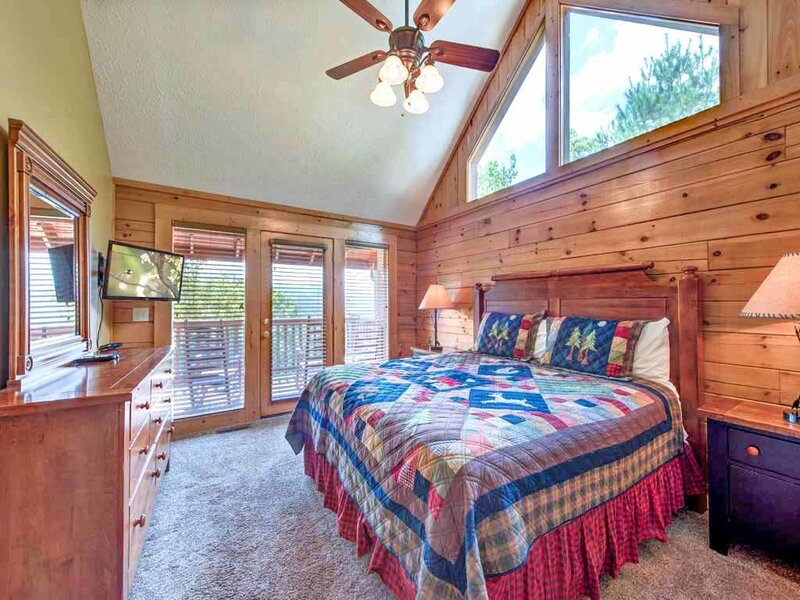 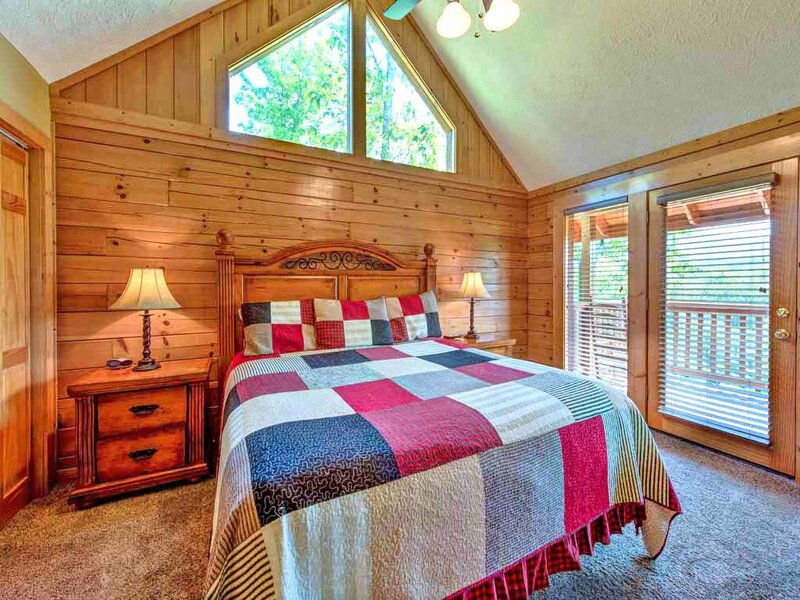 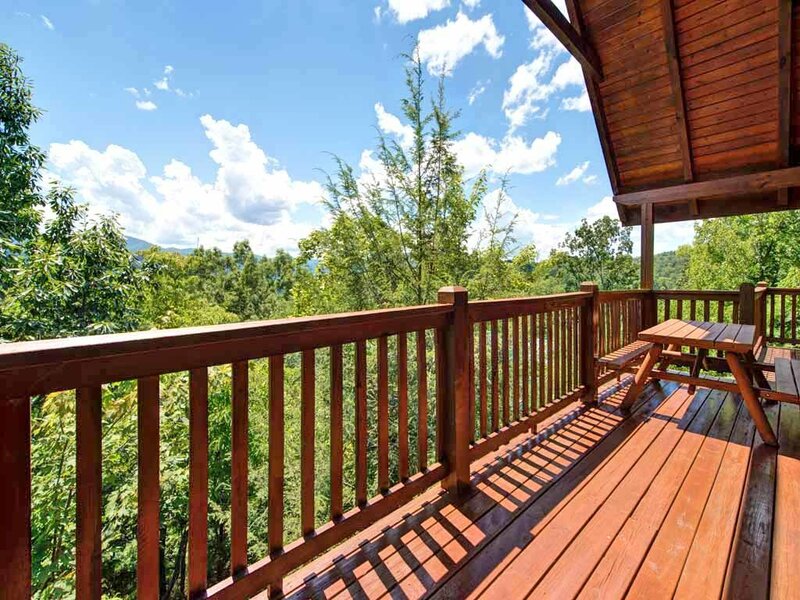 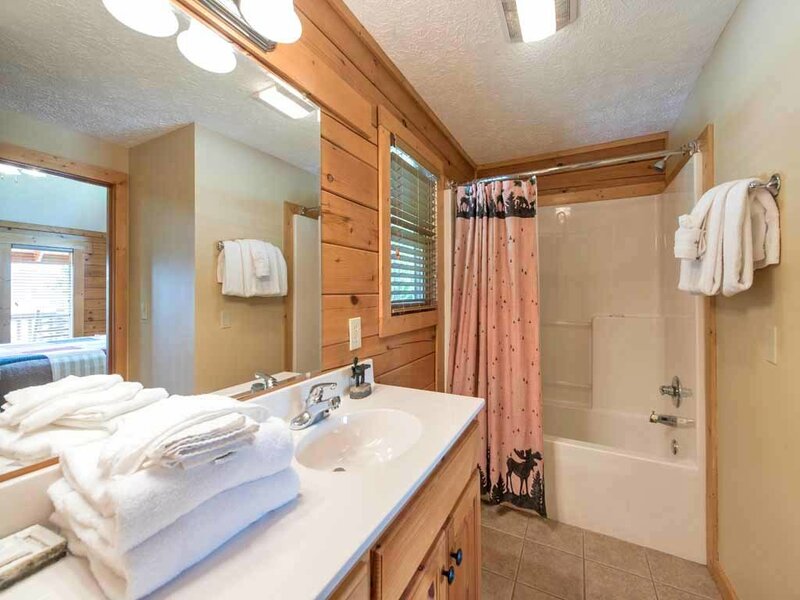 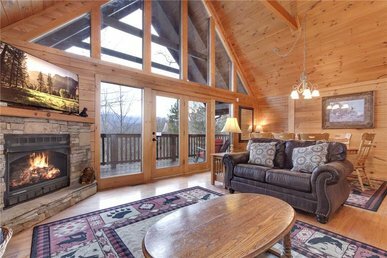 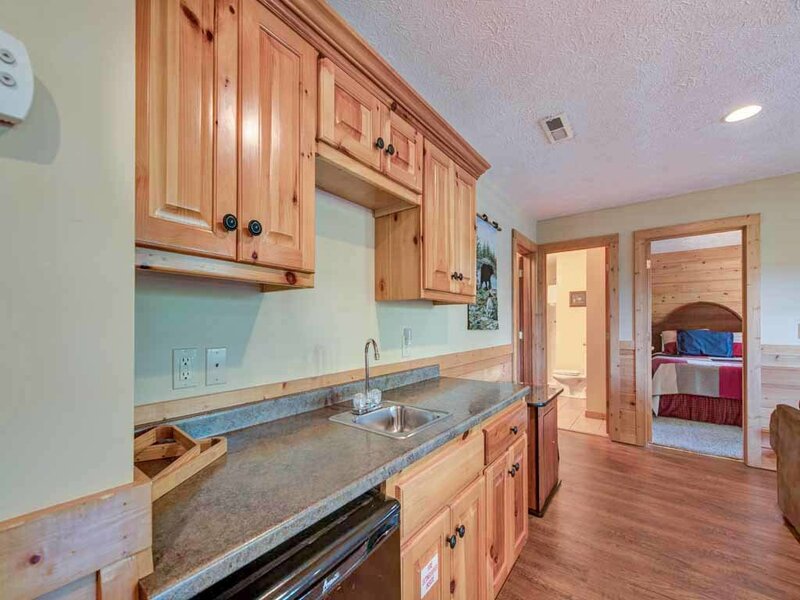 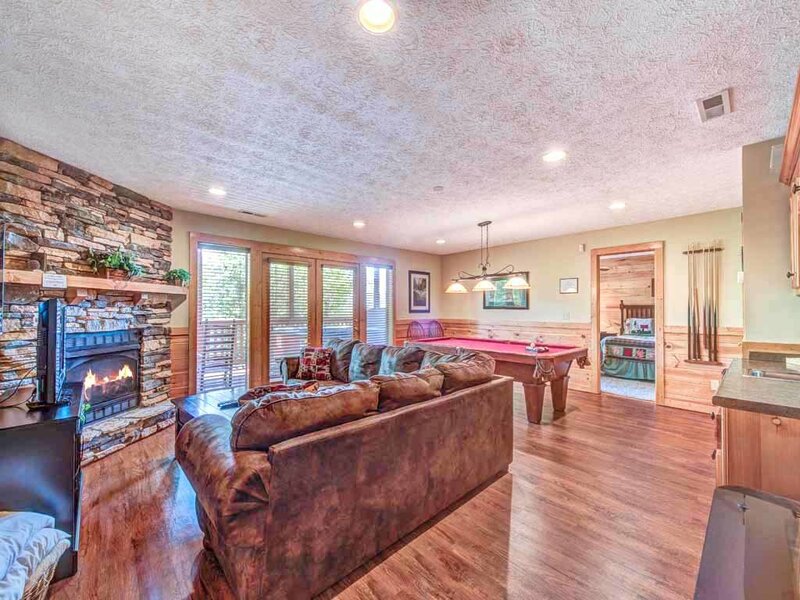 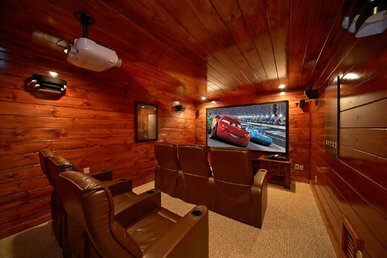 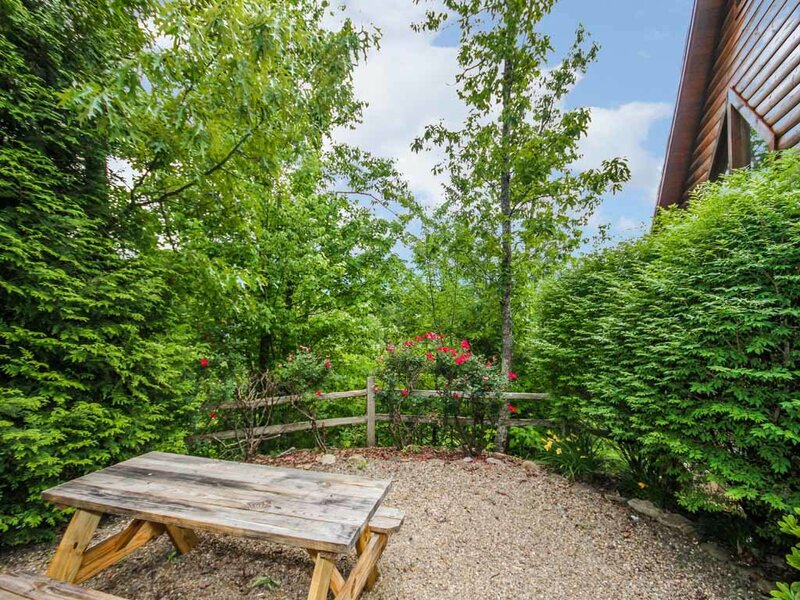 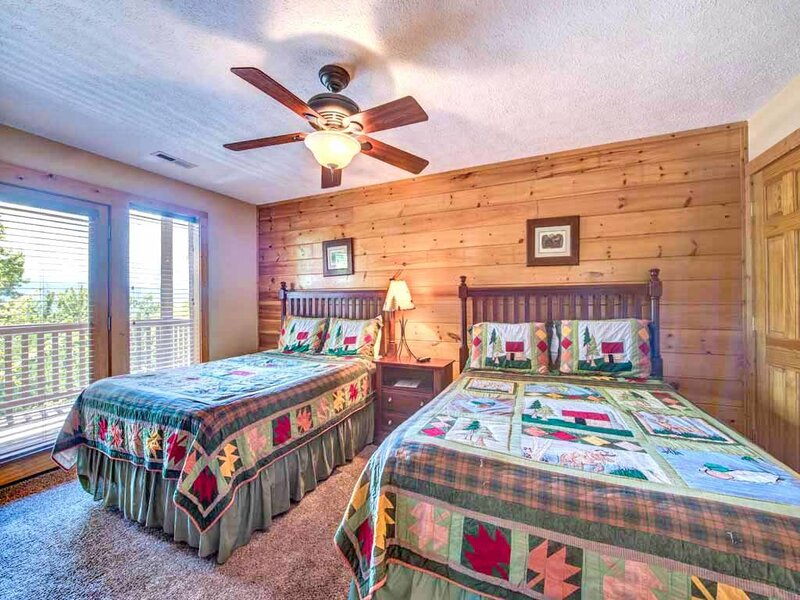 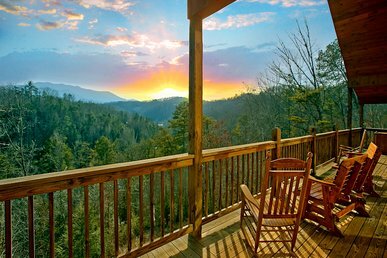 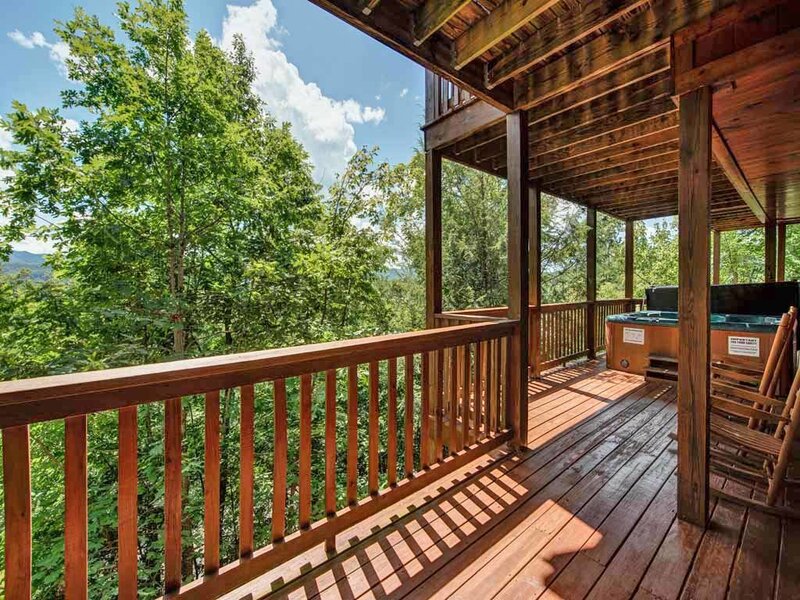 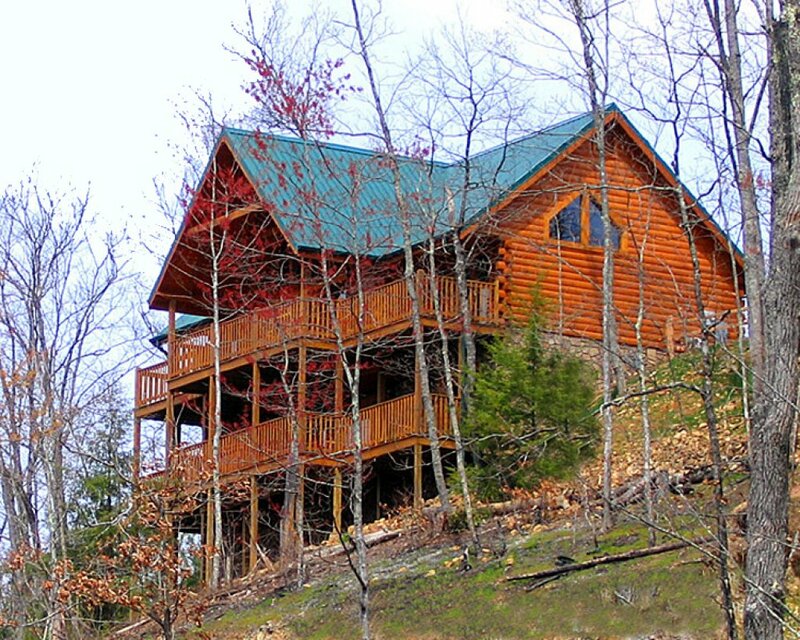 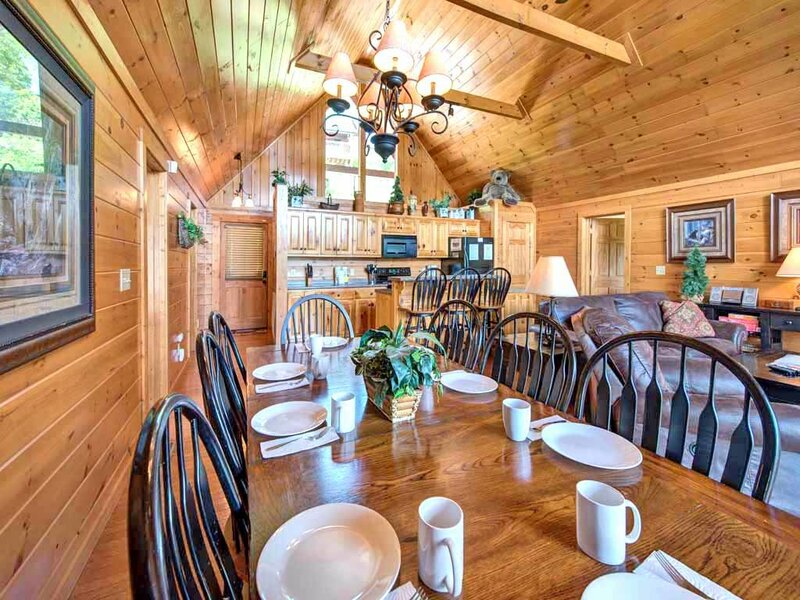 Walk out of any of the four bedrooms, living room or game room onto two large decks running the length of the cabin and enjoy breath-taking panoramic views of the Smoky Mountains National Park and the Gatlinburg area. 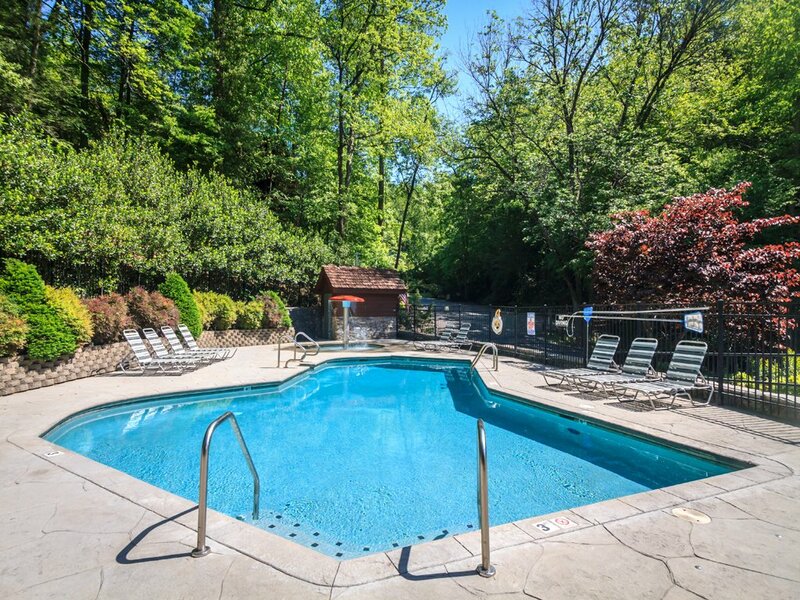 Enjoy the view from the large hot tub on the deck, relax in front of the stone gas fireplaces, or challenge your family to a game of pool. 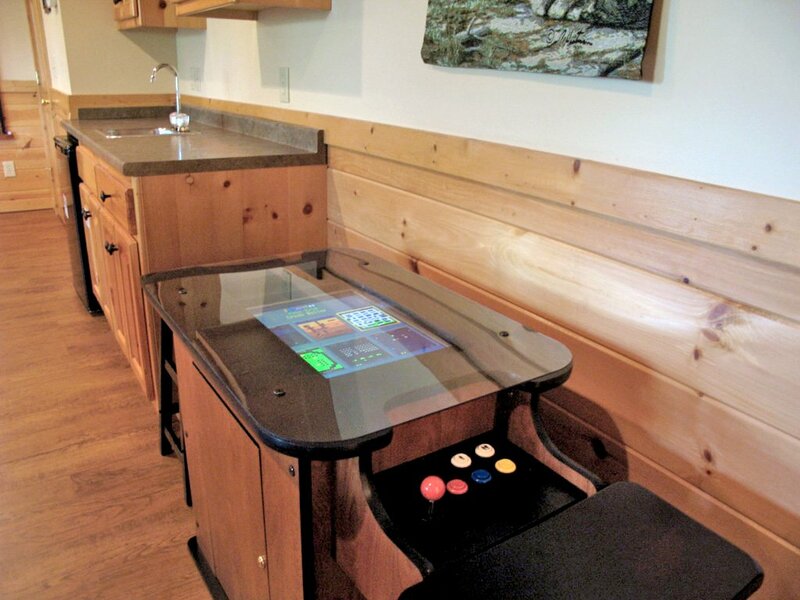 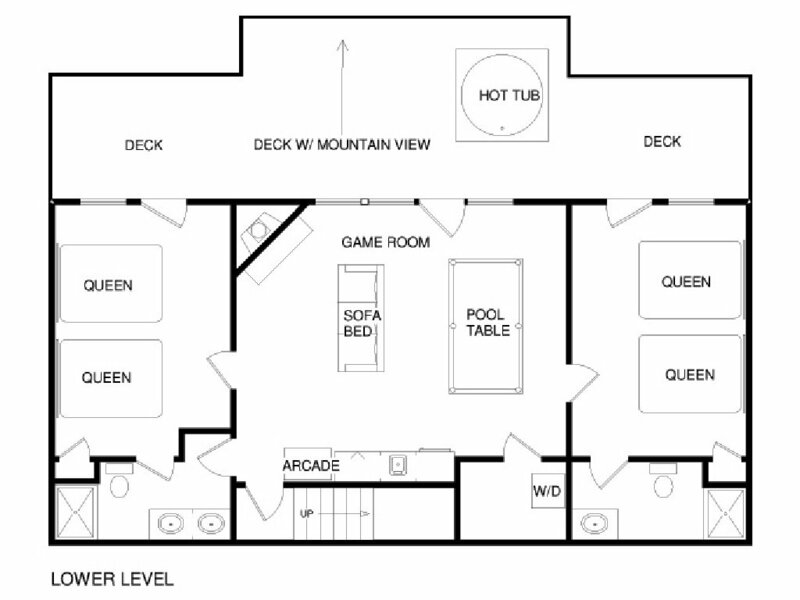 Then kick back and watch the game on the 50-inch high definition TV in the game room or living room or play a game on the Playstation 3 or one of sixty classic video games on the cocktail style arcade table for two. 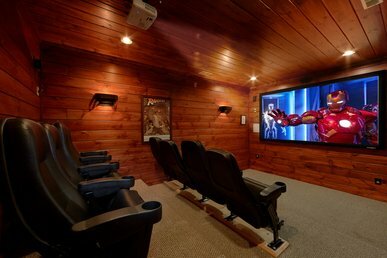 You can even watch the latest episodes of your favorite show on Netflix (with a valid account). 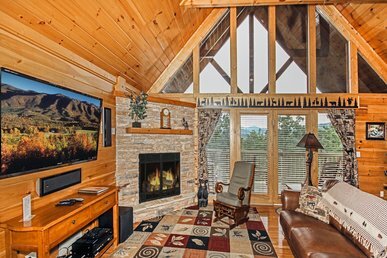 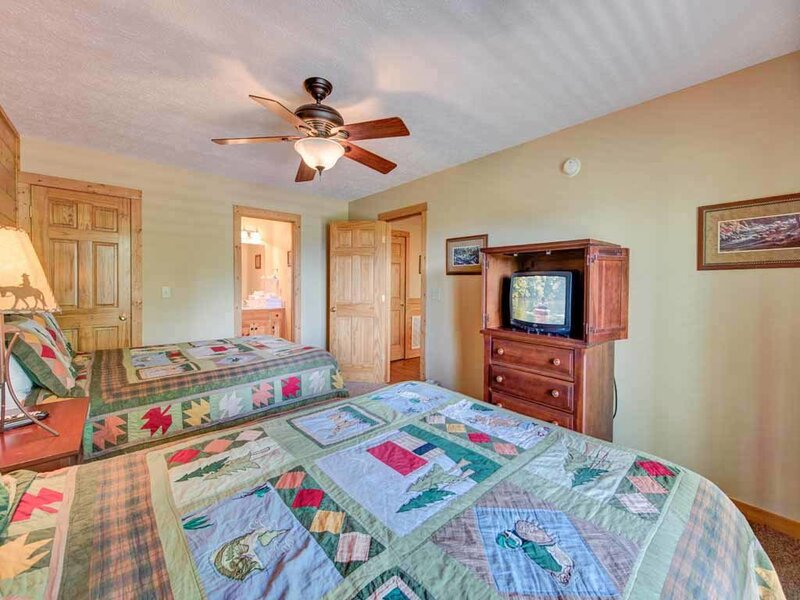 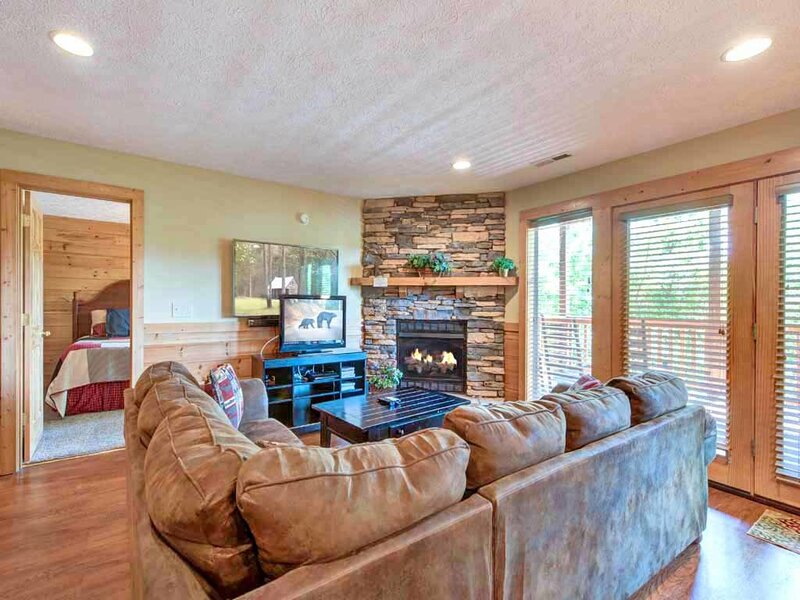 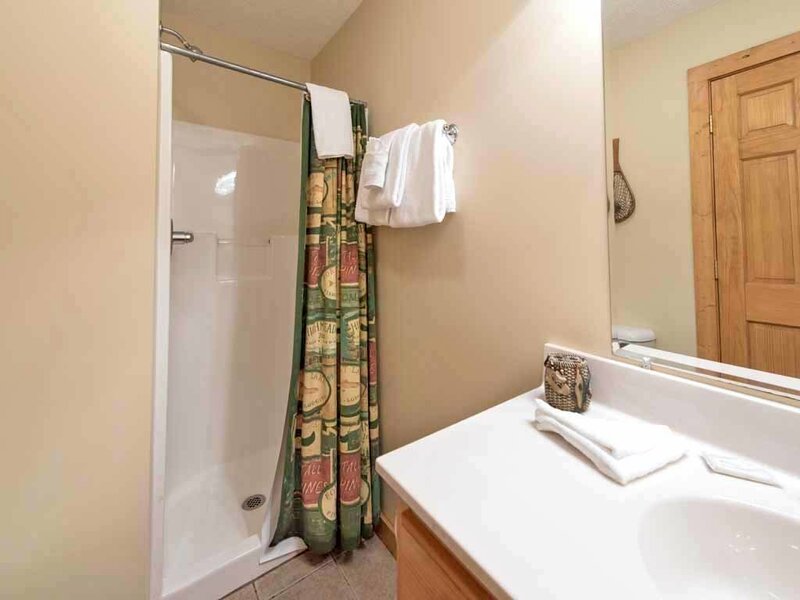 With warm wood finishes, vaulted ceilings, high glass windows facing the mountains and upscale decor, you will find Eagles Point Lodge enjoyable no matter what your plans. 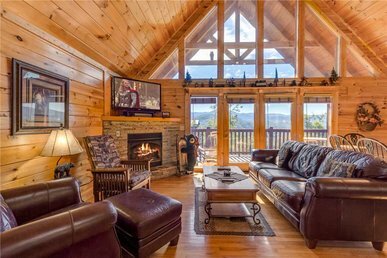 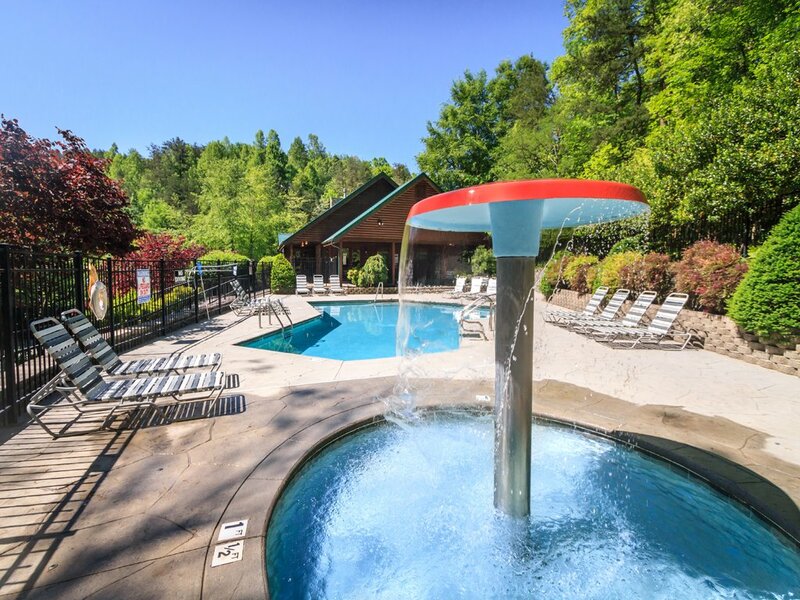 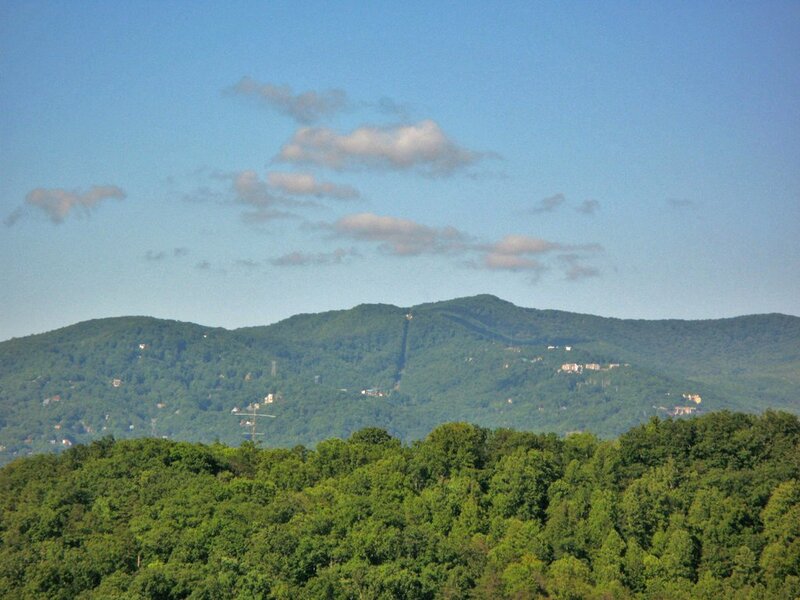 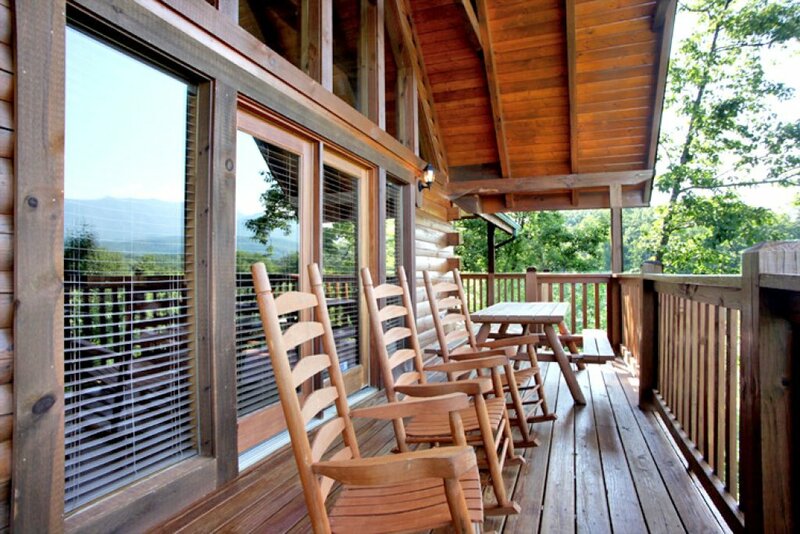 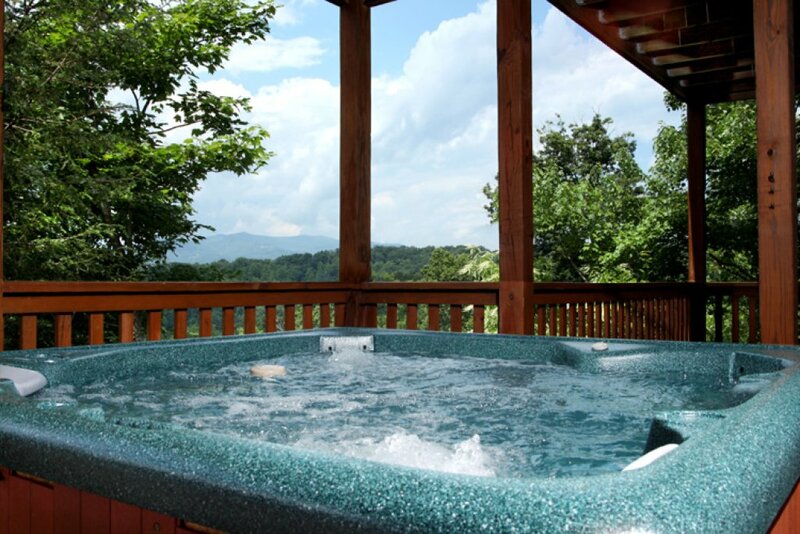 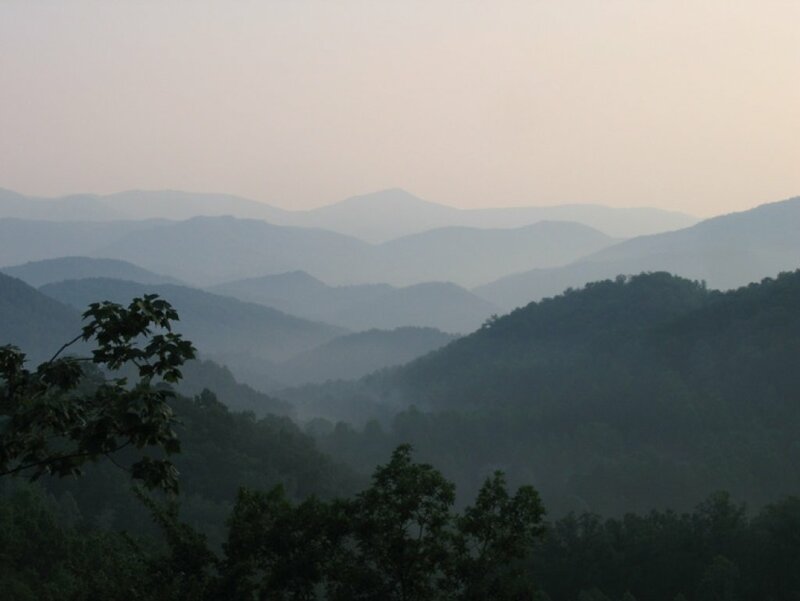 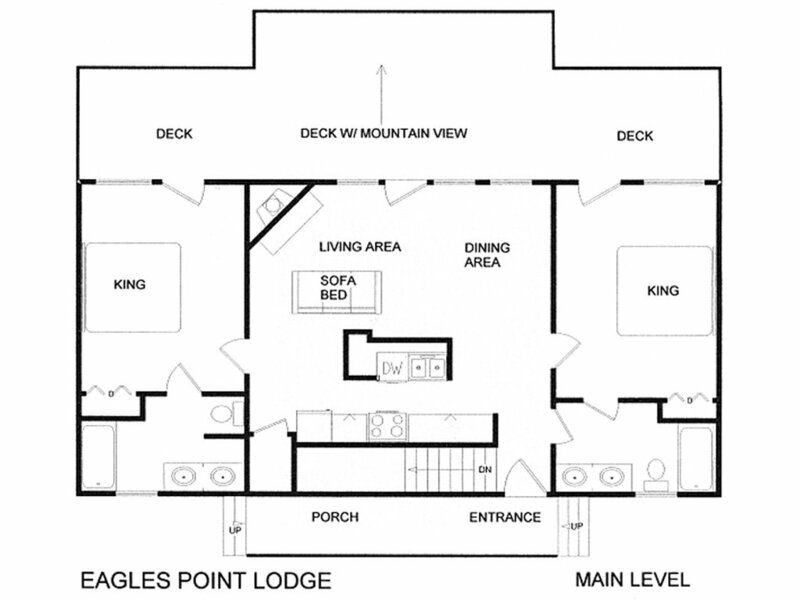 Begin your vacation in the Smokies at the Eagles Point Lodge!